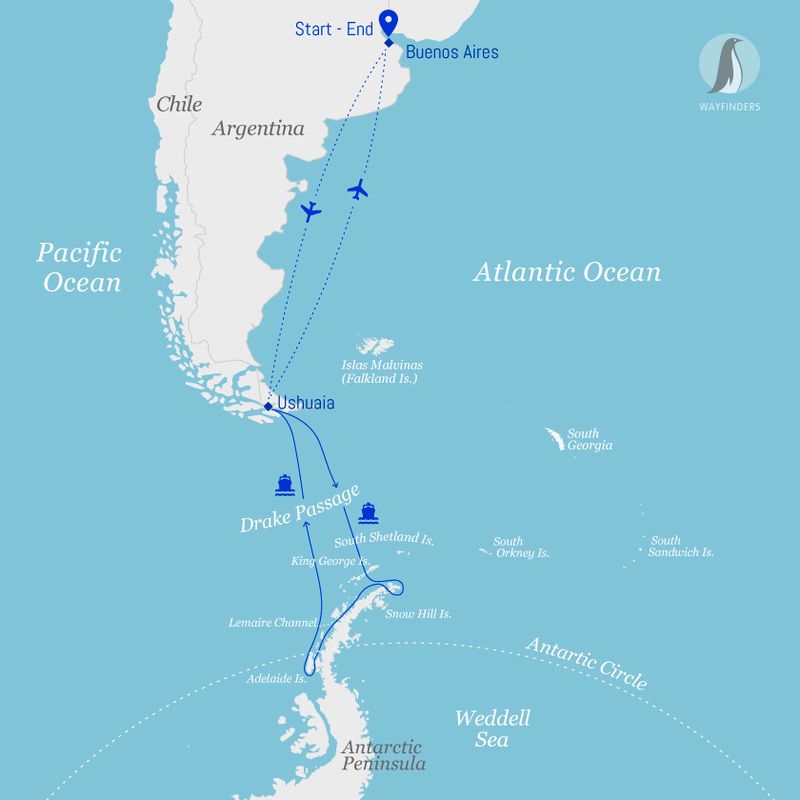 Day 1 – Buenos Aires, Argentina. Day 2 – Fly to Ushuaia, Argentina. Embarkation. Upon arriving in this splendid city, known for its soaring architecture and rich European heritage, you will independently transfer to the group hotel (pre-night hotel included). Travel around the Peninsula includes a variety of experiences. Glaciers, penguin colonies and breaching humpback whales will highlight your days, while friendly seals are plentiful in these waters. 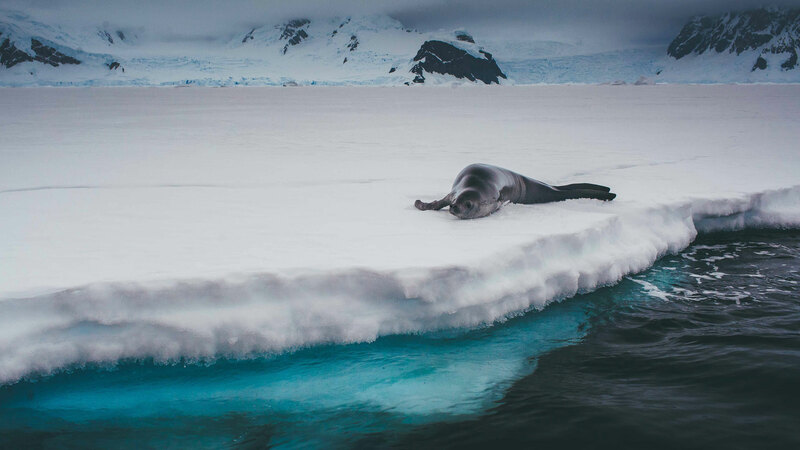 You can also expect to encounter what is arguably the most formidable Antarctic predator, the leopard seal. Places such as Half Moon Island or Livingston Island support huge numbers of nesting chinstrap, gentoo and even some macaroni penguins. Giant and cape petrels, blue-eyed shags and kelp gulls nest in the cliffs. You will explore the busy penguin and seabird rookeries and marvel at the huge elephant seals that wallow along the shore.